Fans of country crossover, you’re in for a very special concert. 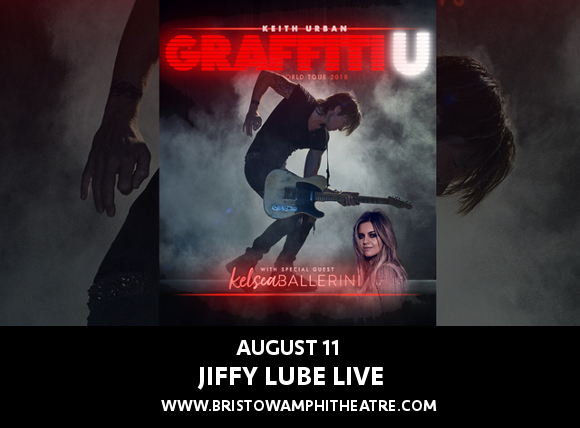 The brilliantly paired Keith Urban and Kelsea Ballerini, both musicians who don’t discriminate when it comes to blending other genres into their essential country sound, are on tour together for Keith Urban’s “GraffitiU,” US and Canada tour!! The massive jaunt will bring them to Blossom Music Center on Friday 10th August 2018 – DON’T miss it!! Grab your tickets now for a show you’ll truly never forget!! In a special announcement for the upcoming tour, Urban asked his fans to send in photographs of themselves holding white squares, which his team then superimposed all the details of the upcoming tour onto – before uploading the images to the internet as the official tour announcement!! Get ready for a concert experience unlike anything you’ve ever experienced before – get your tickets to see Keith Urban and Kelsea Ballerini live NOW while you still can! !